One of India's foremost historians, Prof Irfan Habib, has insisted India's most important left party, CPI-M, should work for forging an alliance with the Congress. In a letter to CPI-M's top body, politburo, Habib charges the CPI-M leadership of being soft to the "semi-fascist" BJP. 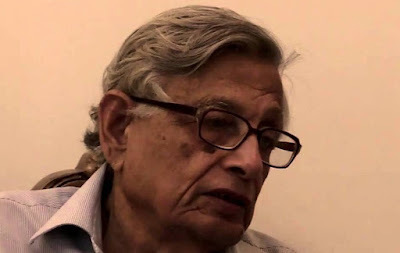 Underlining that “Lohia-like anti-Congressism will not serve us very much”, Habib says, the party must decide whether it wants to “stand aside” from “democratic elements and secular parties” only because of the “inclusion within it of the Congress party, which is still the principal opposition party at the national level”. Referring to the examples of Arunachal Pradesh and Uttarakhand, where the BJP tried to capture power through “unconstitutional intervention”, Habib says, in the case of Assam it invoked “extremes of chauvinism and communalism” to come to power. In Tamilnadu, Habib says, the CPI-M offered “a front only with Left and obscure parties” instead of “adjustments with the DMK-Congress alliance”.